Modern day pioneer John Wells is doing some interesting work in Alpine, Texas. On his desert swath in The Field Lab, which is also referred to as The Southwest Texas Alternative Energy and Sustainable Living Field Laboratory, Wells is living off the grid and building an interesting live/work space of shipping containers. 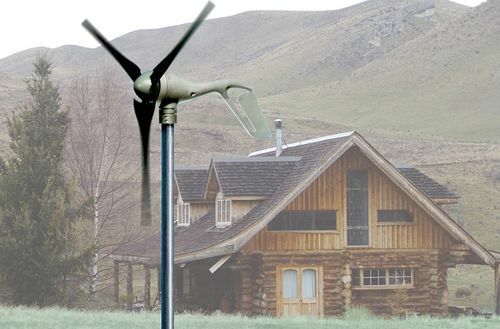 A couple years ago, he built a tiny house, which is powered by 270 watts of solar and four 100-watt small wind turbines. Now, Wells’ current project is the construction of a live/work space made from four 20-foot shipping containers. Wells hopes to finish his 1,600 square-foot space for less than $20,000 and has some helpful pointers for others looking to take on a container project. 1. Even with all the hype, containers are difficult to obtain and expensive to ship long distances. If you live close to a major port city and have a really big truck and trailer, it’s much easier and far cheaper to get them. 2. Don’t bother with those websites that have you fill out your info and up to four suppliers will contact you with competitive prices – THEY WON’T! 3. The price for a 20′ shipping container (not including delivery) can range from $2500 to $4000. You can stick build a building with the same amount of square footage, that is just as water tight and structurally sound using traditional construction methods for less than the cost of a shipping container – it just won’t weigh as much. 4. Containers provide an extremely secure storage structure which requires a blow torch or dynamite to break into, and they are too heavy to walk off with. 5. If possible, get delivery by tilt bed roll off truck. Otherwise you need a small crane or huge forklift to move and position them – or at least 50 really strong men. Watch your fingers! A 20′ shipping container weighs almost 5000 lbs. 6. Rust is the only natural predator that can harm a shipping container, so don’t scrimp on a good paint job. 8. The real bonus to using a shipping container is the new green phrase “adaptive reuse.” Our trade deficit with the rest of the world is causing these to pile up in our country. 9. If you are going to use one for a structure, stay true to the form. Don’t cover the exterior with other building materials – show it for what it is. 10. While searching the web for how containers are being used: (A) most sites only show computer renderings, and (B) actual completed structures have been built at astronomical cost. 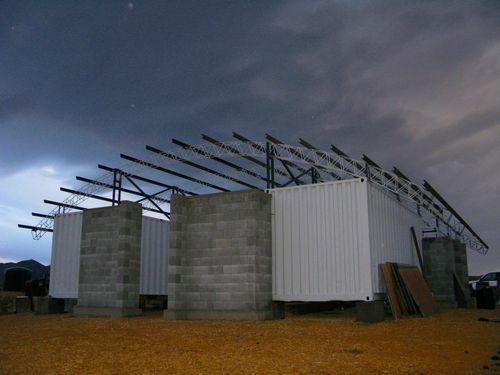 We’ve mentioned several container projects over the years, including the 10 Shipping Container Projects of 2009. Maybe we’ll be able to include The Field Lab’s workshop and greenhouse in our next round up in December. You can follow the process at The Field Lab journal. How much would you say is the whole process of building a medium-sized storage container home? I’ve seen units being converted into pools. Are you planning to have that as well? What are you’re thoughts on that? The chief problem with them LEAD and LOTS OF IT. I would not want to swim in that water…. unless I wanted lead poisoning…. Line it with a pond liner first. The problem is that is 1. the outside of it will leach lots of lead in the soil in your yard. Don’t grow anything you want to eat there. 2. If the pond liner leaks…. the water gets loaded with lead even if you patch it. They are made of steel. The coating on them (the paint) is loaded with lead, because it prevents rust. Sea water (salt water) makes metal rust. Is the possibility of breaking containers down into the sheets of metal a viable option for making them cheaper to ship? Do they always need to be kept in one piece to use? It seems like, in parts, they could also be integrated more with windows and other wall types, which might reduce the freezer/oven phenomenon as well. The collapsible cargoshell idea is being worked. When you cut them up, though, you’re going to lose some beneficial properties. I am a CargoSpace Living designer (www.zigloo.ca) and I am glad someone is making this information public. 90% of the calls I field are from people wanting to build “cheap” – and I end up having to educate them about the real reason to choose containers “adaptive reuse”. The best way I can justify using containers is obtaining end-of-life quality containers whose next trip is getting loaded (empty) onto a freighter to India, where they can be broken down and recycled into raw steel. The huge carbon-offset by keeping them here, and utilizing their inherent strength, is the best reason to consider container architecture. how can I get more info about where to get one that is close to end-of-life? Google shipping ports or transport hubs in your area and ask them. There are container yards all over North America and they grade their containers from A1 to end-of-life. If you want to let me know where you are, I can help connect you with a container supplier. Port Panama City, Florida is my location. Are containers available here or nearby? I just got a price for a 20″ delivered in Tallahassee for $2,100. I just bought a 40 footer at eBay for $1,700. Looking to get involved with shipping containers could you maybe give me some advice? any close -by container suppliers you could connect us with? appreciate the help, should you have the time! Hi, I have another question about shipping. do you think it difficult and possible if I want to move containers onto a lake island? I have no idea how to place a big boat onto the lake and how to move a crane also onto the island. Do you think a shipping company can work it out? Thank you! I found your website is .ca, do you know things about property permit related with container homes in Nova Scotia? Thank you again! does thwe lake freez in winter? if so then you have an option to transport it across the ice! yes, the lake freezes for months in winter, that’s a good option! thank you!!! but i’m still afraid … if they dare to drive a container truck and a crane truck on frozen lake. Only way it’s going to float is if you have a boat under it. I haul these they are metal with either metal or wood flooring. Are mostly especially used not all that waterproof. yes, i think need floating dock under. A 20′ container can weigh 5000lbs. I would not expect them to float for more than a few seconds while the air drains out. hey! i am working on designing a dry port so,according to my concept i want to utilize containers in building the structures.. but again the rust issue, which actually a major problem in warm environmental conditions. kindly suggest me a solution for that problem. Well a few things seem out of whack with this. First off – Keep the exterior as a container “to prove your using a container”!! HUH! First of all, insulate the OUTSIDE so that you maximize the room on the interior, and then you can clad it with whatever exterior you want – I don’t think you have to keep it looking like a container just to PROVE your greenness. Second – we have priced containers and pre-shipping you can get a 20ft or a 40ft, High Cube for $1750, $1500 if you buy more than one. This is not including shipping, which, yes, if you don’t live near a port like we do, will cost you. Third off – we are quoted $300 sq ft for building a house, I Guarantee it will not cost that much to build a container home. A gorgeous one was built in Montreal for $75 US a sq ft….. I guess everyone is entitled to their own opinions, just sharing my two cents worth. I wrapped the outside f my house with AD5 aluminum wrapped polystyrene which cooled off the inside by 40% in summer weather. Then I framed over that with alight gauge non-load bearing studs.a. Siding will be hempcrete. I too was concerned with losing square footage to inside walls plus the steel magnetic walls are cool. Where do you live and how did this work out regarding temp control? Hanna can you give me a link to your containers please……. this is simply a start a chat . Hannah. … have you actually built this, or is it just your opinion? Quotes really don’t mean anything. .. Finished and ACTUAL cost would be a more useful statement. $300 per sq ft to build a house is way out of the ball park. A finished 2000 sq ft house in Arizona is $220,000, $110 per sq ft; and that includes a $45,000 lot! We have been building something out of 32 20″ containers and where able to get much better prices per container than the ones you quote. We have been using them as an alternative to remodeling a warehouse into offices and it saved us lot’s of money. But that might not be the typical scenario since the existing building shell already provided an foundation, heating and shelter. 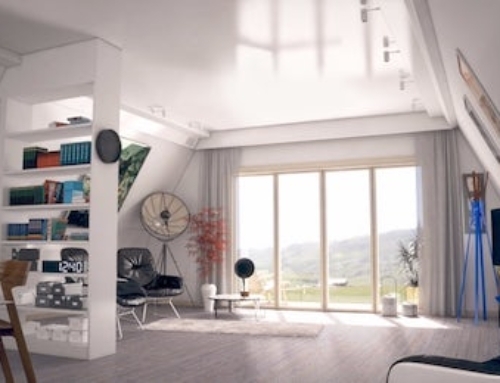 We also hat to learn that many of the dreamy container renderings can not be implemented with real containers – unless you are willing to invest a lot into additional load bearing components. You might like “Builders guide to Shipping Containers” at http://blogs.23.nu/c0re/2010/02/builders-guide-to-shipping-containers/ which considers some of the real world problems in container architecture. I live on the sw Washington coast & purchased my 40′ high cubes for $1625 ($2000 shipped to my home 100 miles nw.). It seems like all prices I see quoted in articles are much inflated. I could actually have gotten similar containers direct from a shipper as low as $900each in the port of Tacoma but would have to have had them shipped without the benefit of q kneeling trailer to offload them. San, I’m living in a same area and I am looking at a similar project. Would love to learn more about yours. What about acoustical performance? Will insulating prevent echo problems that would otherwise exist in a bare shipping container? In my experience using the ad5 cut out much of the noise. The area where it not sufficient despite its companies claims was in reduction of noise from hail and rain. An idea to throw in here (from an OTR trucker): consider buying your containers after you have a lengthy list of building materials to fill them with. Since most ports lie in areas where you can obtain many of the goods you need (especially if you’re going off-grid), fill your containers with materials and then have goods shipped to the site in the containers. Shipping an empty container will run about the same cost as shipping a filled (or partly filled) container. You can empty the containers on-site prior to moving them around. Depending on the length of haul, you can pay up to $2.00 per mile (sometimes more) for shipping a container. You will also often find that the difference between shipping a 24′ container and a 40′ container long-distance will be about the same. A true, modern-day Sears-like setup would decrease the costs of these homes significantly. In the old days, you could buy a house from Sears in a rail car. Everything you needed was in the rail car. A similar approach would probably be best to reduce overall costs. I will admit that I’m happy that someone has burst the bubble on this reality. I was just writing something myself on the topic that the so-called affordability factor is often relative. You still have to consider the permits, grid-tie-in costs or off-grid land development costs (water/septic/power), and power system. Well drilling and septic costs can be extremely expensive for those thinking of going completely off-grid. In the desert, where much of this is done, dumping grey water on the ground is okay. Almost instant evaporation, along with rock for a yard makes it a no brainer. And regardless of what some in it for the money county or state tells you, any grey water is devoid of any harmful bacteria by the time it reaches the water table. And if you’re living where water is an issue, showers are short. Clean up for cooking is super efficient. And laundry detergents that are100% biodegradable are the norm. Bingo. For those living in a desert area, rain catchment is about the only alternative. Composting is more hygienic than the way municipalities treat waste. There is also no leaking in infrastructure. Solar panels, wind generators are the way to go for electricity. And MOST important, lower you consumption of same drastically. LED lights. Efficient and smaller refrigeration. Desert areas swamp coolers for cooling. Rocket stove for heat. Also for cooking. Little fuel required for the BTU output. The really cool thing about going off grid is that the research has already been DONE for you. And even today there are folks DOING it and ramping up efficiencies as we speak. If you’ve any experience in building trades, electrical work or even high school shop, you can DO THIS. And people with NO knowledge but the desire can go online and learn it. The people doing this are for the most part salt of the earth types. They’ll help you however they can. several excellent points particularly the points about costs however I would also strongly disagree with the point about not covering them up. Papercrete makes a fabulous insulator and is far less expensive than drywall, and, having a mix of around 50% paper, can be very green and extremely economical- if the builder is resourceful. What about building the structure mostly underground, bunker style? Wouldn’t that provide adequate insulation? Shipping containers have incredible strength in their corner posts. Which is why you can stack them so high on ships. They are not designed for loading in the side, as the walls are very weakly reinforced. If you buried it underground the walls would collapse inward without reinforcements. 1. …if you live close to a major port city…it’s much easier and far cheaper to get them. True – but they are available in almost all cities and in not-so-surprising places – i.e. farmland – where farmers use them for storage. The biggest problem in Airstreams is condensation in the middle of winter. Think of the container as an Aistream. You’ve got to insulate the metal and figure out where the dew point will collect your moisture! Let’s get away with the design rules. Every situation will require it’s own solution and the container selection may or may not be for the purpose of showing the container. Also, if you need insulation (which you will), you ain’t gonna be showing metal on one side. If you need to meet community CC&Rs that won’t allow the container look, then you’ll be covering that side. If you’re just using the container as a shell and it’s economical for you, use it as a shell and cover as you will – not different than a stick frame. You can still be “honest” with you materials and have a “truth hole” similar to straw bale homes. Cranes: You do not need a crane to offload an empty cargo container – if you can lay it directly onto the ground, and they do not have to be stacked. Trucks need only something solid to use as an anchor so they can pull it to the back, and let it ‘slide’ off the back, controlled by the winch line toward the front of the bed on the ‘headache’ rack. They then can be moved into position with much cheaper equipment likes tractors, etc. container modifications make sense for a lot of reasons, but they are still not perfect for every situation so it’s important to consider these factors before investing in one. thanks for the tips. i am thinking of using one as a retail outlet. any advice? My family and I are moving to Denver Colorado area in April and if we get a home with a good amount of land, I was thinking of buying and shipping a container then using it for a Man Cave and workshop. We have typical furnishings for two people. What I would like to know is what to look for as far as a company to deliver the container to my new place, how large of a container to buy, if the container is dropped at my house by a tilt bed, can the container be easily moved back onto the truck when our furnishings are loaded, and approximate cost to deliver 1100 miles away. Gdiwicker, did you ever get a reply to this? I am moving from MI to around the Littleton area in Co. 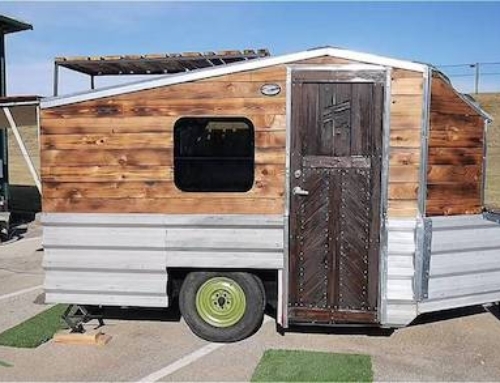 I too am considering building a container home and shipping my things from MI to CO by this means may be a good answer for me. Very bad post with a LOT of wrong information. 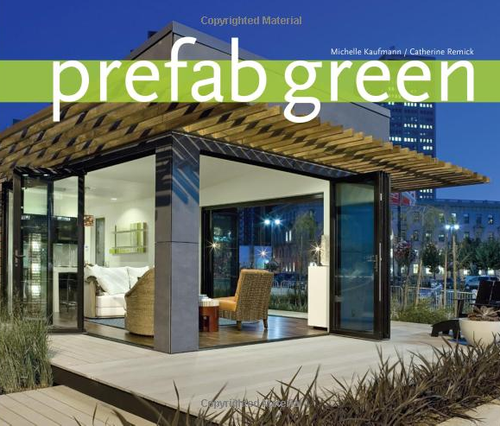 A container home is MUCH more structurally sound than a wood frame house. A metal container is strong enough to load 50,000 lbs of cargo and can be stacked up to 10 containers high. That means the bottom container is holding up about 450,000 lbs! If you set a load weighing 450,000 lbs on a traditional wood framed house it would totally collapse! Yes, true, until the load bearing sides are cut out. After walking on the roof of our container and seeing the flex happen, I started changing my mind about how strong it really is. The posts are strong, sure, that is where it is being stacked. Once you start cutting, it is really starts flexing, though. This post is giving some poor info. I live in rural Kentucky i can drive 30 min to a field with 200+ containers. All of them for sale or rent. I can purchase 6 40′ containers for around 18,000$. There would be about 1700 square feet of livable space. I dont know where this person is from but in my neck of the woods it cost about 80,000$ to get a 1700 square foot stick built house under roof and thats not counting windows, doors, drywall, plumbing or electric etc. I have done my homework and as of fall 2013 i will be starting my container home and will have a 3200 square foot home for 70,000$. 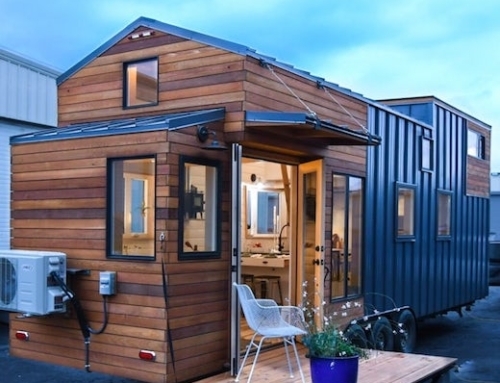 How did your container home build work out in KY? I am considering a small summer home in WV on my family’s property and want to do two or three shipping containers. I’m in Louisville. I want to build a shipping container house, too. I’d love to follow your project as well as know where the field is you have found your containers. Connect with me via FB if you can. Thx! Hey there hillbilly! My wife and I are hoping to build around the Fall of 2014. I have been doing some research on using shipping containers for living quarters. I really love the idea of reusing this type of structure and honestly Im bored with the traditional way of how these houses look in neighborhoods. And when it I hear that it can be less expensive to build, count me in! If you would be gracious enough to contact me through facebook, I would love to ask you more questions and, as well as Anni Bricca, would like to follow your project and where your containers came from as well. I am a 27 year old graphic designer that works in Lexington, Ky. Thanks for posting! TJ, I’m in Newport, KY looking at a container home project. Did you ever start building the one you dreamed of? hillbilly, it has been a year since your post wondering if you built your home yet? If you have I would love to fool/see the home as I am considering building one in the Littleton, CO area. We live in Cyprus, and we are in the process of “building a house” and are considering the container option – we are currently trying to build a 172 square meter house, in a strict budget. However the price of concrete and steel for construction has gone up by 30% in one month, and there is no building going on – this is Europe. You can’t build with wood in Cyprus, as the middlemen here have made all building materials very expensive. So we are now reconsidering our design and thinking of building with 4 x 40 foot containers instead. We can insulate it and make it quite comfortable, and use limited amounts of concrete only for the “table” as Cyprus is earthquake prone, and containers are great for earthquakes as they will survive (better than concrete – the dominant building material here). Getting a container is a good option as the ports are near and there are hundreds of them available, as a lot of the work is DIY and can be contracted out to different builders. 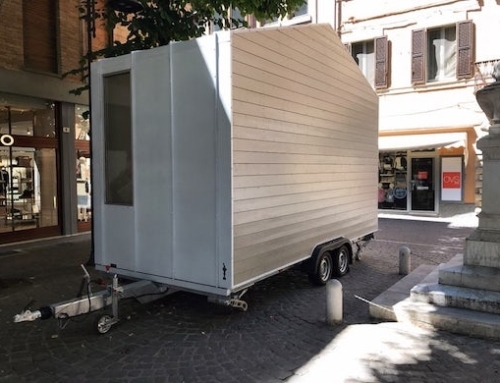 However building codes, are the big problem – even in the US, many land offices may refuse permits to build with containers citing they are not insulated/safe to live in/what-ever. You have not considered the red tape issue that local councils and land office rules may force people not to build with them. Hello Jake. Did you manage to build your house using containers? I also live in Cyprus and I am very curious to know whether you got a building permit and what were your actual costs. 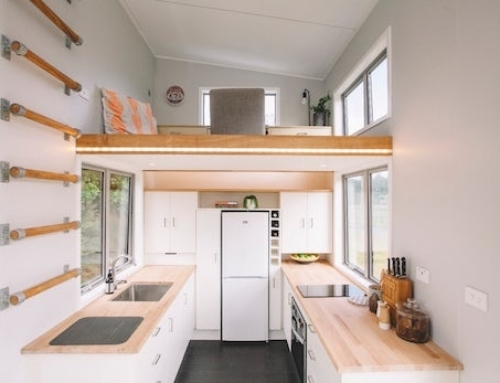 I think the cost and effort in building a container home is generally the biggest surprise to people who want to do it “on the cheap”. But regardless if you use containers or a traditional build, you’re still going to need electricity, plumbing, etc, and those costs won’t be different just because you are using a container. The price will fluctuate depending on how you go about doing it, just like it would in a traditional home. The biggest part of the savings is in doing the labor yourself. And in not having to pay an architect, not having to buy permits and pay for inspections, not dealing with a for profit builder. If you’re going off grid, chances are you’re in the boonies. And the people doing this today do a BETTER job of building their home, going green, protecting the environment than the agencies that give permits would ever require. These are folks doing it for THEMSELVES. Mostly educated, bright, socially conscious folks. People that research, question, look and do ALL their homework. And they have a vast network of people to seek answers from. People who have done it and know the tricks. Folks that are happy to share their hard earned knowledge, for FREE. Over the past three years new home sizes have started growing again after a decline in square footage for a period. THIS IS BAD. Bad for the environment, bad for public utilities, bad for power consumption. The less is more idea is the RIGHT THING TO DO. If you are going to build a house yourself, it will naturally be cheaper. But that will be the case if you do it with a container or traditional build. And building green can be cheaper or far more expensive, depending on how it is done. This goes to my previous point about costs are all in *how* the house is built. Not if a container is used or not. However, I would never recommend building a house (container or otherwise) without an engineer making sure it will not collapse on its inhabitants or without proper permitting. If the person building is an architect or engineer – great. But that is a necessary step. It is simply not safe to do otherwise. Having been in the construction trades for 45 years, I have a great understanding of loads, spans, bracing, foundations, framing and all structural components. Also licensed in HVAC, plumbing and electrical. For simple, small projects, specifically using containers, pretty much anyone can get the structural part right, as long as they limit themselves to a single story and don’t cut into the floor, corners or top. Small holes for pluming, electrical and ventilation are okay in all but the obvious places. Get online and framing, foundation information is readily available. MY biggest concern is people without electrical experience doing the installation of and intergration of solar and wind power. That can be tricky, but there are manufactured components that are pretty much plug in and go. The caveat in all this of course is peoples NEED to research if not experienced. And the people I’ve come across in the “green” and “tiny house” communities have been for the most part ready, willing and able to get the help they NEED. My experience with inspectors over 45 years has been spotty at best. Some are well informed, honest and do their jobs just right. Some are looking for a hand-out. And SOME are so ignorant of the requirements of their particular area of inspections it’s downright sickening. A number of times I’ve had to go to the mat with them. And when I’ve done that I’ve come out on top 100% of the time. I try first to explain to them that if it’s not in the code book they can’t enforce their own Vision” of what’s right. Many times that vision is WRONG and DANGEROUS. Bureaucracies fail miserably at what they are SUPPOSED to do. The declaration that a septic system, field lines and all must be installed in an area of solid rock. HUH??? There are a couple of other ways to hanle human waste, efficiently, accepted by medical professionals as HEALTHIER, and ignored by idiots in governments that work for US. One tiny example, among many. And it ALL boils down to MONEY. I have nothing against architects. As a general rule anyway. But in many cases they simply are not needed. Many times I’ve drawn up plans for an “engineered” system and taken it to an engineer for his stamp. Saves him a ton of work, I get whats best for the customer based on THEIR needs, and the engineer gets a little fee for his stamp. Does he look at my plans? SURE. He’s putting HIS name on it. Unless you are willing to move “off grid” you can’t get away from the permits, fees. backlogs and many time incompetence of the “authorities”. People lived for THOUSANDS of years without them. And many do today. Take a look at construction practices in Mexico. Scare you AND me to death, but they work. You may have the experience for knowing many of these things, but as someone who gets calls several times a week from people who have never set foot in a container and have never built anything, they need help from people who do know what to do. That is my point. Also, you clearly understand permitting laws and the reasoning behind them, so you can make informed decisions about how to do things. Most people do not have that knowledge. My recommendations are for people who have never built anything. And for the vast majority of people, they have never worked with containers and do not understand their limitations. For that reason, they should work with someone who does understand those limitations to ensure that safe homes are built. You clearly are an exception to the rule. Okay, I’ll give you that. If people are totally in the dark they DO need the help of someone enlightened. I am myself ambivalent about containers as homes for a coupe of reasons. But structural soudness isn’t one of them. As I said, you cant go re-engineering that container without the help of someone that DOES know the engineering behind them. And I LOVE the fact they are so heavy. 5000# for a twenty footer makes them hellaciously wind resistant. In hurricane territory I’ve seen too many small homes tossed like child ‘s toys. The wind can toss a well anchored container, but it has to be a BODACIOUS wind. what’s the best way to cut the steel boards by myself if needed, like open a door or window. thank you. Wrong about rust pal, containers are made with COR-TEN steel. Although there is a patina of rust, this actually forms a protective oxidization barrier. “Weathering steel, best-known under the trademark COR-TEN steel and sometimes written without the hyphen as “Corten steel”, is a group of steel alloys which were developed to eliminate the need for painting, and form a stable rust-like appearance if exposed to the weather for several years. “Weathering” means that due to their chemical compositions, these steels exhibit increased resistance to atmospheric corrosion compared to other steels. This is because the steel forms a protective layer on its surface under the influence of the weather. Nope, I’ve had to go on top of two of them being used as storage that developed leaks from rust, and seal them up. Its going to be our shop/shed/storage. We are looking to get 2 and make a carport in the middle of the 2. I am thinking about the shipping container for storing one ton bags of grain inside, on pallets. My concerns are temperature (guess I will insulate), rodents (are they rodent proof unless damaged? ), and moisture. I assume the insulation will help with moisture by helping with temperature fluctuations, but will there be a big dripping mess in there, destroying my grain? If not a victim of holes for one reason or another, the only time a rodent is gonna get in is when you have the door open. These son of a guns are bullet proof. (figuratively). Thanks Tom. I would just have to make sure that any ventilation holes I cut to eliminate condensation and overheating (I still don’t know if that is even possible), will be above the level where rodents can get in. Brandon, make sure you use heavy gauge screen or wire affixed solidly over the holes and keep it in good shape. It’ll rust out eventually and have to be replaced, but you can see it coming. I think low level holes for air entry and a roof mount whirlybird or power attic ventilator will keep your moisture problems at bay. Good luck. I own a 20′ shipping container. It is in the Northeast Kingdom of Vermont, USA…I have owned it for almost 1 year. I am in the process of building on 10 acres of property that I bought there. I had considered building a container home, but now not so much! It cost $3200 + $150 to ship not too far (less than 20 miles). I didn’t really negotiate the price because it was a one of a kind local item that I found on “the list” and I was the first one to respond to the post. I paid the $150 to move because I thought that the price was fair! First! If you are going to move a container by flatbed or rollback (whatever you want to call it), you will need to find one WITHOUT RAILS. It makes it a MAJOR PAIN to winch it onto the truck if the truck has side rails. The tow operators that I called would not even CONSIDER moving it if their trucks had side rails and the VAST MAJORITY DO HAVE SIDE RAILS! Ok..with that out of the way, ther reasons I am backing of of the idea is because I think it would be easier and cheaper to build a stick house…Logistically, getting the container to my property is not the easiest task. Don’t get me wrong! If I could get several more at the same price and the same condition that this on is in then I would go for it, but to be quite honest the LOCAL inventory is minimal at best. The futher you have to ship them the more it costs until it gets to the point of diminishing returns! Secondly, since I put the container on my property, CONDENSATION has reared it’s ugly head. My container stays closed the majority of the time and during this past winter I noticed major condensation developing on the ceiling. It also was developing on some golf cart batteries that I had temporarily placed directly on the floor. I have a few ideas but until I can figure out the cause and the cure for this condensation issue, I am back to sitting on the fence. I will still use it for storage of the “right” items but at this point in my life, I am not looking to solve a ton of problems. I will keep everyone posted if you like! Thanx! when containers are used for storage sheds, it’s best to install a rotating roof vent to keep airflow going and limit humidity and condensation on the interior ceiling and walls. These are cheap and a pretty easy set-up and they save you a lot of headache and damaged property. A few of the things I am interested in and have not seen discussed in any detail are 1) how to “join” containers directly to one another to create larger spaces – for instance, I would be interested in sitting two containers side by side and then cutting a wall or portion of wall out of two containers place to create a 16 foot wide room? ; 2) how to install windows and doors given the corrugated wall panels; and 3) what kind of and how to reinforce containers for both cutting out large wall section (see #1 above), and for stacking perpendicular to one another? On this last item, in addition to side by side placement to create large spaces, I am intrigued in the design and functional possibilities for interesting and useful spaces, both indoor and outdoor, created by a cantilevered design. Does anyone have any input or resources they can refer me to with this kind of practical information? Great questions! You can open up space by putting containers together. If you make those openings large, you do need to add in reinforcements to support the roof. As far as connecting them, There is a couple of inches gap that needs to bridged and welded together because the corner posts of the containers stick out further than the walls, floor and roof. However, that is relatively easy to do. As far as adding in doors and windows, there are kits for doing that. They come with framing that fits into the corrugation of the container to make that easier. We have examples on our website. As far as your structural questions and how to best answer them, I would recommend working with an engineer or architect to make sure you get a safe, efficient design. There are a few different ways to handle it depending on the size of the openings and the rest of your design. They can be catilevered into some cool positions as well, but again, you’ll want to make sure you work with an engineer or architect to make sure you have it all properly supported. I am trying to find out what the fire regulation makeup of a container is. Obviously it is made of steel but is there any documentation that can appease local officials that it is fireproof and thus useable for residential living. Any help would be great. DANG!!! If your local officials want fire PROOF, they’re living on the moon. Fire resistant? Yes. But if you have wood floors, furniture, carpet, drapes, clothing you will never attain fire proof.These containers are not fire PROOF but they are considerably more fire resistant than anything short of concrete or dirt. I expect you can go online and find and print documents that will satisfy your building officials. These after all are loaded by the hundreds on ships from every country, who all have MUCH more stringent fire codes than do municipalities. They are fire rated for 1 hour. I don’t have any documentation on it, but you should be able to dig something up online. I looked into shipping containers myself and was given outrageous prices for them. They’re handy because they’re portable but for about the same I can buy a used 30 foot caravan which has wheels and a towhook. That I can just tow behind my car without needing special equipment and it’s already set up as a living space. I’m not convinced by shipping containers. Anyone have any info on burying these things? seems like maybe you could control temp better underground. Also wondering what you might coat it with if you did bury it. Thinking about a desert application. digging such a big hole is not easy, i think few ppl think of doing that, unless you have an existing one already. The sides collapse from the pressure if buried. we build these units all the time in Australia.. a 20′ container is $3000AUD BRAND NEW..
second hand 2300 in good condition..
a full built unit.. utilising 2×40′ containers.. insulated, powered, etc will set you back between $30k and 70k. depending on the quality of fitout and inclusions. Alpine, Texas is no where near Southwest Texas. it IS in West Texas a hundred miles due north of Big Bend Park. lived in these type shelters in a remote FOB in afghanistan in 2009. they are pretty awesome. i live in Alpine. where are y’all located??? thanks for the info. That doesn’t quite square with them being “hard to get and expensive”, now does it? What about zoning ? Can u put them anywhere ?? Showing it “for what it is”, is not really a necessity. The introductory paragraph before the list of 10 ideas is very interesting but conflicting. John Wells says that he is using four, 20 foot containers for a 1600 square-foot home that will cost $20,000. He later says the costs are astronomical. So, where’s the astronomical cost in that? That’s the best price I’ve ever heard on such a home!!!! If you got hit by tornado, you may find out. Not a bad idea for a build, maybe a back home or garage but for living ? .. still seems like a fun project. Does anyone have a cost sheet that they can share with pictures of the end product ? that would be resourceful, thanks. And you did not mention the chief problem with them LEAD and LOTS OF IT. If you put a shipping container house on your eco farm, do not plan on eating anything grown near it, unless of course you want lead poisoning. I live in bucks county pa and would love to build a shipping container home but need help to go about getting the permits, land is reasonable in Bristol township..can you help me?? Tricia look up bucks county, pa building permits on google it should pull up something & if not call a local building contractor and he will know who to call. But does anyone know a site to get indepth knowledge about shipping container homes and how to properly do it yourself? Id like to know exactly what I am getting into since I am basing my life on this option. a no kill dog shelter with 4 40ft shipping containers a dog park in the shape of a bone built with pallets and chicken wire, volunteer housing for my shelter with homes built with pallets and solar panels. Theres more details but thats a brief description. Its 3 years away for the farm, & 5 years away for the no kill shelter from all that becoming a reality all I need is specifics since even though I am married I will be doing most of the hard labor myself. . . .since I am the breadwinner and saver. Please help provide links or information thank you. What about foundation type and cost? Is that figured into the 20k? I have been thinking of this for years, But I am thinking underground. With the roof as the lawn/yard.Even skylights, for natural light I have not heard of this idea by ANYONE. But it makes too much sense to me. Places like tornado alley should have had them in the ground as soon as they came over. Im thinking, the temp could be so controlled. Hot outside Like 120 in AZ)… cool inside. Cold outside (like -20 in Alaska), mild inside. So, simple question … why not? Don’t forget to seal and repaint the floor to prevent the pesticides from harming you. You might consider reflooring after sealing and painting to add a layer of protection. This is an old story, but still relevant, If you are looking for containers for any project you have in mind, Mobile Mini can help with over 200,000 containers across North America. Help !! In Africa trying to create a bearable home for the missus. I have two 20′ containers and plan to rest two high cube 40′ containers across them to create a snake and burglar proof living area. (a) Will the 20′ containers hold the weight ? (b) I plan to put the 40′ ones both at the rear and create a balcony at the front but this means the load bearing is essentially in the middle of the 20′ containers. Feels stressy !! (c) No significant weight in the 40′ containers and will probably take out the two dividing walls to make a large living area. (d) If you hate this idea, can I support it with vertical beams ?